If we were having coffee today, we’d sit in the garden underneath the tree and enjoy the autumn sun while it lasts. After handing in my master thesis last weekend, I’ve had the first relaxing week in two years! It’s taking a bit of time to adjust again, to actually have evenings off from studying and the pressure of finishing before a deadline. There’s so much I’ve neglected during my studies (this blog included). It’s nice to catch up on sleep for starters. If we were having coffee today, I’d tell you that next to finding a job that’s in my actual field and looking for PhD options, I’ll now concentrate on some self-care in the form of regular yoga and gym, cleaner eating, creative journaling and reviving my social life a little bit. But you know what? It was worth it. All the sleepless nights, the all-night study sessions, the deadline pressure, frustrations and low-energy. Because my awesome professor already graded my thesis! … And I got 100% on it!! She even wants to show it to her own students as an example of how it’s done right, and she has sent it to a friend who teaches English Literature at the University of New York (not sure whether it’s CUNY or SUNY and which campus) who really liked my thesis too. I am so happy and relieved right now that all the hard work paid off, you have no idea! So thank you for keeping your fingers crossed for me, it worked!!! I’m still waiting to hear back from my university regarding my final grade and when I’ll get my transcript and diploma, but, yes, I am done and I did a lot better than even I thought I would when I first started. Now I can’t wait to finally graduate! 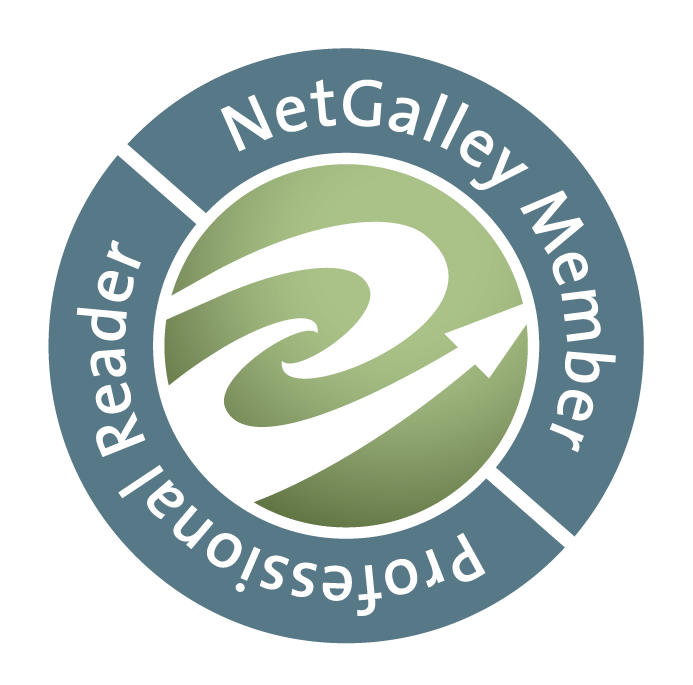 If we were having coffee today, I’d tell you that I have plans for this blog, so I hope to update regularly from now on. I’m also looking forward to reading for fun again. Analysing 12 novels over and over was not as much fun as expected, though I have learned a lot about Australian Literature in the process. 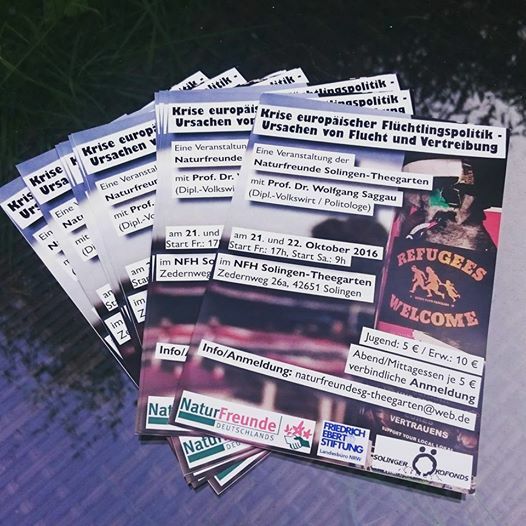 Flyers I designed for the seminar on refugee politics by Prof. Dr. Saggau at NFH Solingen-Theegarten. As the assistant secretary of our local Solingen-Theegarten chapter of the Naturfreunde (Friends of Nature), PR work, flyer design and the likes falls within my range of responsibilities. We’ve invited Prof. Dr. Wolfgang Saggau for a seminar on the crisis of European refugee politics and what causes people to flee. I’m quite proud of how these flyers turned out! What doy ou think? Anyway, just a short Coffee Share today, on account that I have been taking it easy outside of work this week because I could. I’m sure the other Weekend Coffee Sharers would love to see you too! Thank you for having coffee with me. Same time, next week? Congratulations, that is fantastic! What an honor to to have it used an an example. Awesome, good for you. Nice flyers! Congratulation! You can’t ask for anything better than 100% and your thesis being used as an exmple both at your school and another one!!! Great job and I love the flyers. Hope you have a great turn out for it and you enjoy your break from school.